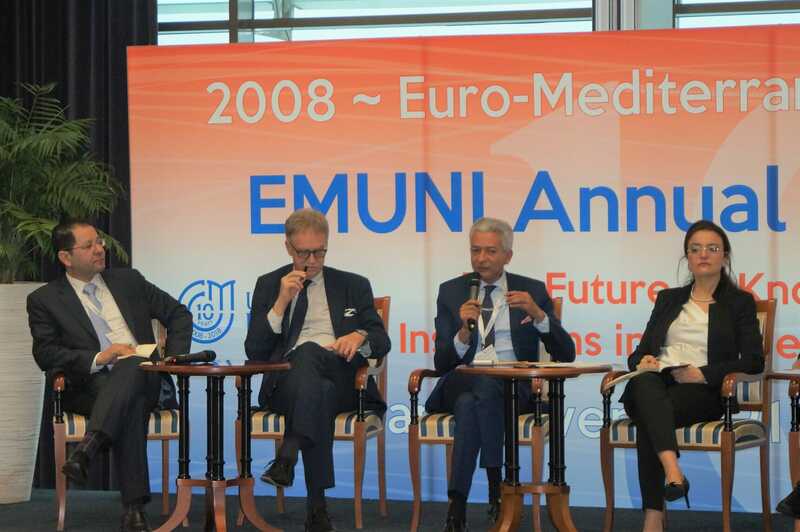 The Founding President of EMEA and Scientific Director of EMNES, Prof. Rym Ayadi, participated in the first panel of EMUNI Annual Conference “The Future of Knowledge Institutions in the Mediterranean”. At the panel. Under the title “The structure of academic curricula: satisfying multi-disciplinary, life-long and employability needs”, also participated Jean-Eric Aubert, former expert at the World Bank Institute and Organisation for Economic Co-operation and Development (OECD), Alaa Ezz, Secretary General, Confederation of Egyptian European Business Associations “CEEBA” and Federation of Egyptian Chambers,Maurizio Fermeglia, Rector, University of Trieste, Italy and Mohamed Salheen, Professor, Ain Shams University, Egypt.